Post Boy’s new self-titled EP, Post Boy, is a 4 track, 16-minute piece that’s a great listen for any mood. The first track “New Crown” starts off with soothing space-like and digital sounds, then leads into a beautiful guitar and vocal follow-up that sets the tone for the rest of the song. Progressing through the EP is very smooth, as all of the tracks here share a similar sound while still being unique in their own way. 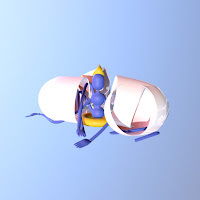 "Basic Laws" has a more “raw” feel to it with the use of a whining guitar lead and heavy drums, while "Marble" seems like it’s composed entirely of digital sounds like tastefully layered synths, giving it an atmospheric vibe. "Raspy" makes for an excellent outro track due to its relaxing vocals, and more subtle but still outstanding instrumental. Below share and listen to Post Boy! "BATS IN THE BELFRY" Atlanta artist, Cavan Brady, has been teasing and withholding music from everyone for quite some time. After dropping his cover of Lil Uzi Vert's "XO Tour LliF3," it gave us a glimpse of what direction the producer/vocalist is heading towards. With a brand new original titled, "Bats In The Belfry," Cavan delivers a sweet acoustic piece where the melody and lyrics uphold triumphant artistry for his wave of new music. Its pure breakthrough from the mini hiatus. The rich vocals and beautiful strings of the guitar dawn with candid exposure and melancholy mood. "Bats In The Belfry" display that Cavan's talents lie more than in just production but also lyricism that reborn him into a sensational singer/songwriter. 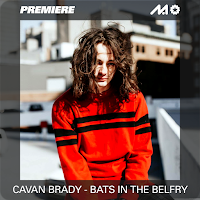 With much excitement, we proudly premiere Cavan Brady's new release "Bats In The Belfry" on MELTING OF AGE! Take a listen and share below! Boston producer, Fraxiom, just released a long-awaited track under the Hyperpop Collective called "Brain Freeze", and it’s the most “frax” thing we’ve ever heard. From start to finish, it’s like there’s at least 3 detailed songs playing at different points in the track. The way Fraxiom layers all the instruments and sounds in this track is very coordinated, while being cute, quirky, and somehow all over the place. There’s definitely a “future-esque” sound to this song, with some pop influences, great melodies, and surprisingly deep basslines. 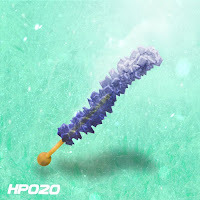 Give Fraxiom and other Hyperpop Collective producers a listen with the link below!